Japanese Language Support, Plus Major Upgrades to FreePBX Localization Tools! 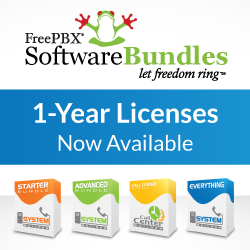 Since it’s inception a decade ago, FreePBX has grown to be the world’s most popular open source PBX platform. Our latest analytics tell us that we are getting close to 2 million installed production systems located in 210 countries and territories across the world. Having such a widespread global presence means we must look at the entire world when developing FreePBX. Localization and multiple language support in FreePBX has become a top priority. As with most software platforms, developers typically code for their native language with little motivation for translations or multi language support. Over the years the FreePBX Community has seen folks dedicated to localization come and go from the project. Several years ago a community member by the name of Mike Carlsson approached our own Philippe Lindheimer and the two worked on the initial support for multiple languages. Since then overall language support has grown in FreePBX, yet it was always lacking more community input. In the end the processes needed to generate different languages was difficult and complicated. We depended on community members to understand the translation process, and developers to enable their modules, manually prep and process them for translations. About six months ago we were approached by representatives of QLOOG, Inc a VoIP service provider and Schmooze Com authorized reseller based in Kobe, Japan, about adding Japanese support into FreePBX. QLOOG developers Kevin McCoy and Dave Bouchard partnered with the Schmooze/FreePBX developers and put in thousands of hours along with our developers to completely rework the infrastructure in place for translations using a new localization tool, while at the same time completely translating FreePBX into Japanese. So far around 59% of FreePBX has been properly translated which you can quickly see by looking at the button to the right . Alternatively you can work by language by navigating to http://weblate.freepbx.org/ and clicking on the languages tab. Once you are in a module you’ll have several translating options available to you. First off you’ll see the translation status for each language for this particular module. Once you click on a language from here you can go through adding and editing translations per sentence. Once everything is done and you think it’s good you can push the changes forward into our git repository. Currently FreePBX allows you to work in multiple languages. Using the advanced menus you can enable language selection in the GUI, and switching between them is easy and free. Once you enable it you can easily change to a supported language directly from the main admin GUI. This change will allow you to display menus, dialog boxes, Help topics and other text in your selected language. Schmooze Com, Inc. manages FreePBX, the most widely deployed open source PBX platform in use across the world. Schmooze also provides FreePBX Certified Appliances, SIPStation SIP trunks, FreePBX Pro Modules, professional support, a certified reseller and training program and, in addition to FreePBX, develops the PBXact and PBXtended turnkey PBX platforms. FreePBX has over 1 million active production system in use across the globe today, and continues to add over 20 thousand new installations per month. FreePBX® and the Schmooze logo are registered trademarks of Schmooze Com, Inc.